ANZ completed the acquisition of RBS business in Singapore on 15 May 2010. RBS card is now ANZ credit card. Presenting the new and exciting ANZ Platinum Card that allows you to enjoy a 10% dining rebate at some of the most popular restaurants in Singapore. Additionally, enjoy 5X rewards points at the following retail outlets so as to enable you to redeem your desired rewards sooner. What’s more, take pleasure in complimentary SATS lounge access, airport limousine departure transfer and golfing at some of the finest golf courses in Singapore and Asia with no paying guest required. Simply charge to your ANZ Platinum Card to enjoy these privileges and many more treats exclusively reserved for you. Discount off admission to Singapore Zoo, Singapore Flyer and other popular attractions. Singapore Citizens & Permanent Residents: Minimum income is $50,000 p.a. Foreigners: Minimum income is $90,000 p.a. The awarding winning ANZ credit card allows you to enjoy discounts and privileges at a smarter choice of shops, restaurants, bars and other merchants. Not only that, ANZ Swtich Card let you enjoy the lowest interest rate in town – 11.8% p.a. for the first 3 months and 18% p.a. subsequently. Its free for life! No annual subscription fee, ever. Singapore Citizens & Permanent Residents: Minimum income is $30,000 p.a. Foreigners: Minimum income is $60,000 p.a. Which ANZ Credit Card to Choose? Don’t get upset by so many choices of ANZ credit cards. We recommend Switch Card because it’s free and has no annual subscription fee ever. 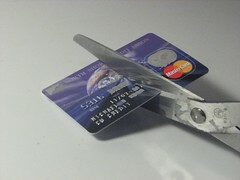 Other credit cards come with one year waiver; but, can you remember well when it was about to expire? It is completely safe to apply for ANZ Switch Credit Card. You can apply for switch card here. The Australia and New Zealand Banking Group Limited (ASX: ANZ, NZX: ANZ), commonly called ANZ, is the fourth largest bank in Australia, after the Commonwealth Bank, Westpac Banking Corporation, and the National Australia Bank which overtook ANZ in 2009 in terms of market capitalisation. Australian operations make up the largest part of ANZ’s business, with commercial and retail banking dominating. ANZ is also the largest bank in New Zealand, where the legal entity became known as ANZ National Bank Limited in 2004 and where it operates two brands, ANZ and the National Bank of New Zealand. Apply for switch card here.